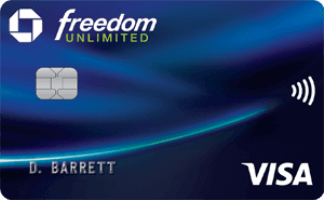 Get Free Hilton Trial Gold Status And Match To Hyatt Trial Diamond Status With A Visa Signature Card! Enter in the card number of any Visa Signature card (it does not need to be in your name) and you’ll instantly get Hilton HHonors Gold status. You’ll need to enroll in Hilton HHonors first. You can use the same card to upgrade as many people’s status as you like! The trial status lasts until 08/31/11. If you make 3 stays at a Hilton by then the status will last through 03/31/13. Now here’s the kicker. Hyatt will match mid-tier Hilton Gold status to top-tier Hyatt Diamond status on a trial basis. You’ll remain Diamond for 60 days. If you stay 12 nights within those 60 days you’ll keep Diamond status through 02/28/13 and you’ll get 1,000 points for your first 6 nights within 60 days. Members on the interactive DansDeals Forums have reported that they have already been matched to Hyatt Diamond from the Hilton Gold promotion without any Hilton or Hyatt stays. As a trial Hyatt Diamond member you will get 4 confirmed suite upgrade certificates that can be used on any paid stay to upgrade a standard room to a suite for up to 7 nights each. You also get free breakfast, points or food and beverage amenity, 30% bonus points, upgrades, club access, and more. In addition if you apply for the Hyatt Visa Signature card as a Diamond member instead of getting 2 free nights in a standard room at any Hyatt worldwide you will get 2 free nights in a suite at any Hyatt worldwide! Even after your trial Diamond status expires you will still have the 4 upgrade certificates and the 2 suite night awards from the Hyatt card! 107 Comments On "Get Free Hilton Trial Gold Status And Match To Hyatt Trial Diamond Status With A Visa Signature Card!" I can sign up for this trial and get those 4 free upgrade certs, but do they expire when my trial status expires? According to what I’ve seen they should last until 02/28/12 and can be booked until then even for future 2012/2013 stays. everone is mkssing the real kicker you can statas mach dimond for spg platnuim! now thats amazing! dan can u confirm this? Starwood doesn’t match anymore. They do have a challenge, but you don’t get Platinum until after you complete the challenge. are these status matchings once in a lifetime like by airlines, or can u do them over again at a later date? if i have priority club platinum; what can i get out of it as far as matching goes? What do I email Hyatt as proof of my gold status with Hilton? 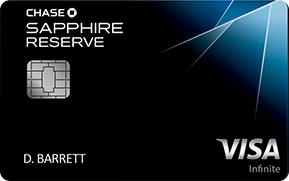 Hey guys – what cards are visa signature- I assume that its not all Visa cards am I correct? am getting an error message? When you say you need 3 stays at a hilton is that 3 nights or 3 separate stays? I have a Hyatt stay coming up using points. Will this help me at all? Who do I call or email to find out which visa signature card used for the offer. Hilton says to call visa. Visa says to call Hilton. I have two visa signature cards and need to use the correct one to book my three stays. I do not remember which one I used during signup for instant gold? 15 nights at a Starwood within 90 days to get Platinum. A screenshot of the page. They say Visa Signature on them. Just looking in my wallet those include and AA Visa Signature, BA Visa Signature, United Visa Signature, etc. I don’t think you need to use the exact Visa Signature card. is the Hyatt status matching once in a lifetime ? How can I conferm that I have the gold status ay Hilton.com? Where would it say on the “my account” page? Dan, I know this is wishful thinking, but will Hilton inturn match Hyatt? If you get diamond status on hyatt then apply for the Hyatt Visa Signature card and get 2 free nights in a SUITE in any hyatt will that expire as soon as you lose the diamond status on the hyatt???? the free nights you get at the hyatt suites…when do they expire? Are there no Hyatt hotels or properties in Israel? I don’t have plans to be touring other countries anytime soon. Another question, if I start today, any idea how long will it take to get the free stays/nights? Do I get a paper cert in the mail or email/online? Any benefit for hotels in Israel ? Call and ask them, I’m not sure if Hyatt is a once in a lifetime program. It should be pretty obvious once you login. You can use the 2 free nights in a suite even after your status expires. It goes by your status when you apply for the card. 12-13 months from when you make your first purchase on the card. You get the free nights within a couple days of your first purchase on the card. It shown up online in your Hyatt account under my awards. The diamond suite upgrades also show up there within a couple days. How long will it take for the status match of Hyatt to post? I just emailed them today. whats the story with hyatt’s in Israel? Once sending the hhonors gold card status to hyatt, do I wait to hear back from them about diamond status before I apply for their visa card to cash in on the free suites? Do I need to be a Hyatt member before sending them proof of my HHiltons Gold status? There is no story, there just aren’t any. Yes, wait to hear back before applying. Are there any programs that will match the Hyatt Diamond status? Priority Club will give you Platinum for it. Starwood will give you a 15 nights in 90 days challenge for it. Anyone know the turnaround time once proof of Hilton Gold status has been emailed for Hyatt to upgrade you to Diamond? do you lose the 4 confirmed suite upgrade certificates fro hyatt diamond when you lose your hyatt diamond status after 60 days. if not, when do they expire? Dan, What kind of proof does Hyatt need to receive? All 3 of these questions were already asked and answered in the previous comments. @yehuda – just send them a screenshot of your Hilton account shownig the Gold status. @sim: Why do people post without reading the above posts. It makes it so annoying. Any idea how much longer this credit card offer from Hyatt will be around for? i keep getting an error msg,anyone else? Hyatt matched my status for diamond through 02/28/13 without any stays required! @sam – how long did it take? when did you send them the email with proof? how do i get a priorit club status match? I don’t know of a deadline for the offer. when you say 3 stays at a hilton does that mean a hilton literally or any of its brands? @Sam: Did you do something to get it or was it a mistake? I emailed them they said i have to email them also my stays with hilton. bummer. Is it better to call? If I have the diamond status and my wife has the card do we still get upgraded? > Regarding your inquiry, currently a Diamond Trial Offer is available. > eligible nights within 60 days, up to a maximum of 6000 bonus points. I’m assuming they will give me the diamond trial even though I have no stays with Hilton. I will let you know how it goes. How do I get the vouchers? I have gotten Hyatt to match….but don’t see anywhere I get the actual vouchers. You can try mail or fax. It’s possible if you’re both listed on the room. Where in my instructions did I say to call them?? Send an email/fax/snail mail asking for diamond trial along with proof of your gold status and see what happens. Whoa, relax my fellow brother in deals. I happened to have been on the phone with them anyway discussing my account and I casually asked about their matching program. No harm, no foul – especially in the context of my phone call. Additionally, I followed your directions to the T, Herr Dan: Sent them my email with proof yesterday afternoon. I’m interested to see how many successful matched DD members get in light of the apparent “corporate policy.” Good luck! 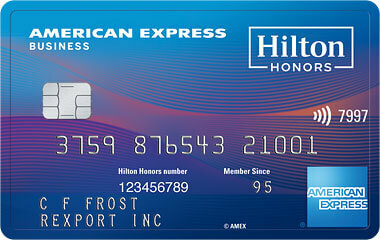 once you get hilton gold what proof can you send hyatt as you do not yet have your gold card or a statement yet? Do I get to keep the vouchers even if I don’t do anything special (like staying in the hotels) to remain diamond? I also got a message similar to driven- but it says that you need proof of top tier. Is the Hilton Gold level top tier? “As you are an elite frequent guest with another hotel chain program, I would be happy to share the details of how you could obtain Hyatt’s prestigious and generous Trial Diamond status. Please be advised, the competitor’s statement must show at least ten (10) stays or thirty (30) nights accrued in order for the tier match to be processed. As the statement you have provided does not show the required number of stays/nights, unfortunately, I am unable to provide you with the Diamond Trial Offer at this time. worked for me with a fax of my hilton gold status and a letter saying i want to switch my business to hyatt! Did your gold status have actual stays? (See comment #64). Also — after faxing your status, how did Hyatt confirm your Diamond status? Via email? I just received the same e-mail as AJK and Eric. Also I replied again to see if there’s something that can be done. If succesful, I will post what I sent them. Chaim how did you know it worked for you? called them back after doing the fax? It’s a no go. I’ll try via fax as it has worked for Chaim. 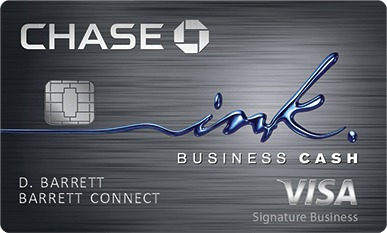 continued support of the Hyatt Gold Passport program. I don’t have travel plans to sharm or amman etc b’ezras Hashem. So if I am overseas now and flying t the usa by the end of the week, I won’t be able to use these vouchers on my trip, because I would need to actually get receive the card to activate it, buy something then wait a few days, right? The only other option is that I can borrow a voucher from someone else and return one when I sign up etc. ? Stan, when I posted this it was after waiting for confirmed reports from members on the DansDeals Forums (http://www.dansdeals.com/forums) that this worked for them. Unfortunately once I post things here and hundreds if not thousands of people start doing them and companies start cracking down. That’s the nature of the beast. So I always have the dilemma, leave a great opportunity on the forums where a few dozen people will see it and take advantage of it and the deal won’t be killed? Or share it with the thousands of readers on the main DansDeals site? I imagine that with just a few requests Hyatt didn’t have a problem matching their requests, but once they started getting thousands of requests they started cracking down. That’s life! However, if people do indeed feel as you do, that it is a big bother when I post deals like these, then I simply wont. Were you a TRIAL HHonors Gold member (as a result of the Hilton promotion Dan linked to), or someone who already had 10 stays/30 nights? Dan, thanks for all your work. I to ran into the issue with Hyatt cracking down. “Thank you for contacting Hyatt Gold Passport Customer Service. I appreciate the opportunity to assist you. Also… Driven.. It is one thing to take advantage of the offerings or loopholes that companies have. It is something else entirely committing fraud to achieve this goals. I am Hilton blue how do I become gold ? Once Hyatt Diamond status is achieved, is there a special link to apply to the Hyatt CC in order to get the two free nights in a *suite* vs regular rooms? Also, how long should I wait after getting Diamond status to apply for the Hyatt CC? Thanks! Does anyone know of other companies that status match? Then, it seems (both from mine and other’s experience) that you go luckly. Congrats! Also, did you apply for the Hyatt CC yet? Does your online Hyatt profile reflect your diamond status yet? Also, do you see your four up upgrades yet? Dan- I don’t want to open another credit card in my name so I my dad will open the Hyatt card and give me the free night (nice dad). Can my dad book me a room under his account and give me the free suite upgrades or does the diamond member need to be the one to get the benefits. Hi everyone: I sent a few emails expressing disappointment at not getting the diamond status and they ended up offering a trial for platinum. It’s def not as good but they claim they will give the best room in a category. I take the to mean the best view or something like that. I hope that is worth something to y’all. Good luck. I followed up my initial email rejection from Hyatt with a fax, which included a long letter about wanting to switch my business to Hyatt yadda yadda, and was thankfully given a Diamond Trial. You just need to add him as a guest in your room and then he’ll be able to checkin. There is no special link. If you are Hyatt Diamond or Platinum already the system will know that and give you the correct award. Dan, as a platinum member I won’t qualify for any upgrade certificates. Does thus mean it is pointless to apply for a card as a platinum member if I dont plan on staying at a hyatt within 60 days? -2 free nights at any hyatt good for over 1 year from your first purchase. -2 free confirmed suite upgrade certificates that can be used on any paid stay to upgrade a standard room to a suite for up to 7 nights each good for a year. Can these free nights be sold to someone else? Can I jump on this as a Canadian? Just got Hyatt Diamond trial ammbership!!! Also you can delete the words “We do not have any hotel history for your account” under “Hotel Stays Summary Always Show” so it doent look like you have 0 stays. Continental 50K (acctually signed up for 25K plus 5K to add my wife, then closed the account, then found out about the 50K offer and sent a secure message if they could credit me the other 25K to match the new offer, WHICH THEY DID, even though I DIDNT EVVEN HAVE AN OPEN ACCOUNT AT THE TIME THEY GAVE ME THE EXTRA 25k, THEY ADdED IT DIRECTLY TO MY CONTINENTAL ACCOUNT!!!! can i have somebody stay under my hyatt diamond number to get the stays? and how? @Zev Photoshopping? Wow, that seems pretty sleazy. Why not just forge free night certificates and suite upgrades instead? You’d save yourself a step and it’s the same thing from an ethical (and perhaps legal) point of view. This sort of behavior makes our miles/points community look bad. @Zev: Zev, how did you get Continental to credit you the other 25K miles? What did you have to say? How did you status match Virgin to Continental? Thanks! Is this deal still working?? Dan – I tried matching the Hilton Gold status but Hyatt said they only match Hilton Gold VIP status… I am still looking to cash in on the Visa Signature 2 free nights (as I see that link is still available)… any advice? Hilton Gold is Hilton Gold VIP status. That’s the exact same thing! Ok, clearly I didn’t read the forum before asking that question – I apologize for that… at this point it looks like it is up to me..
Do the Hyatt free nights work at the Andaz hotels also? Sorry to harp on this but I got the same email response as some others which is that Hyatt will only match Gold status if I have 10 stays in a Hilton within the last 12 months – any idea what to do at this point (without fraudulent alteration of the screen image)?